Longtime baseball fan (Go Tigers! ); and not gay; except maybe that time when I was 24(and 26). I do, however, know a lot of super gay people and most of them I will call my friends. Now I’ve been to many a baseball game in my life and Sweet Lord Almighty can they be drawn out, tedious affairs no matter how much one drinks, right? What on earth would make one game infinitely awesome? How about 60,000 plus super duper. wild and crazy gays and their not so gay friends; that’s what! Cheering you on from Missouri. Left a little on the gofundme site. This Indians fan says right on! thank you for this! I was so inspired that I just got four tickets myself for me and all my homo friends to attend – Go A’s!!! I read this story on Facebook, I think this is GREAT! I applaud both you and Mr. Doolittle for taking on this endeavor. Whether it be a designated LGBT night or not, I hope the Season’s Ticket holders realize that there are members of the LGBT community present at all games. We enjoy and support Baseball too! If I were in the Bay area, I would gladly attend. Stop making my eyes water! Re-blogging to pass it on! Thanks for this! You rock. I heard that mic drop from here in Orlando. BOOM! I saw the Padres lose last night, it shouldn’t be too hard. Go A’s! Awesome cause, good for you! You’re a star – one we can see from way over the Pacific, here in Sydney Australia! This Giants fan loves what you’re doing. And Sean? Don’t forget the dishwasher tonight. Eireann!!! You and Doo are wonderful people! I can’t wait for this night and I won’t be selling you my tickets (sorry!!)! Thank you for what you are doing for the LBGT community. I’m straight but I have gay friends and believe that everyone deserves equal rights! I’m also proud of my favorite team for recognizing and celebrating diversity! Thank you and Doo so much for representing the club in such a great way! 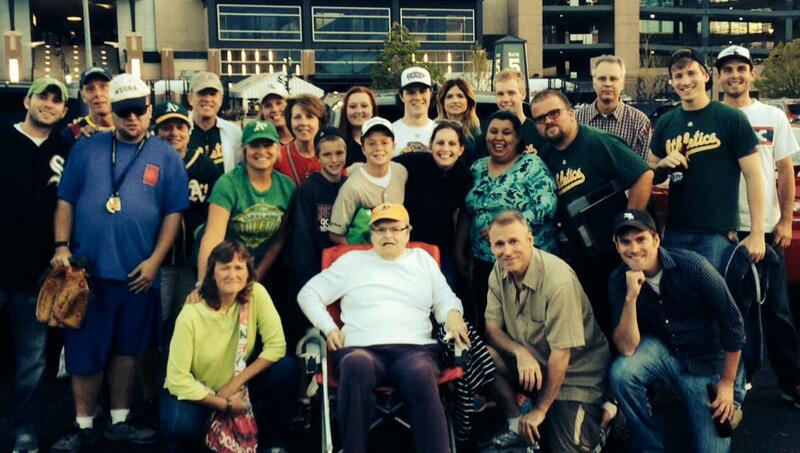 I’m proud to be an A’s fan!!! Way to go! I will pass along your message!! Let’s Go Oakland!!! Hello! I’m not A’s fan, I am huge Dodgers fan but I love what you are doing for LGBT community. As someone who struggled with accepting their sexuality, this means so much to me. My grandpa is the one who got me into baseball. I remember when I came out to him and how much he just accepted me. I also remember when he told he voted no on Prop 8. I also remember when the Dodgers did an ‘it gets better’ video and how I tears in my eyes when I saw it. These seem like little things but it means so much to those who may have struggled, to the ones who didn’t but understand, and to allies to who understand. Thank you!!! You are making your moms very proud!!! This straight ally says you are awesome! Thanks for making the team I’ve loved since I was nine even better. This is so great to see! The world needs more people like you! And more MLB teams need to have LGBT nights, especially my New York Mets after Daniel Murphy’s poor taste in words last month. Maybe this season I’ll root for the A’s just for you! I shot coffee out my nose TWICE during my reading of this. Then I treated a group of five people at this coffee shop who asked what was making me explode with laughter to a dramatic reading of your blog post, during which much hilarity ensued. It is distinctly possible that you are my new favorite writer on the planet. Wait, not writer, activist. Wait, not activist, person. If I lived in Cali I would totally be at that game! YOU ROCK!!!!!! What a great role model you are for our kids – I have 2 and I’ll be sure to show them this awesome blog! Eireann, I came across an article ( http://attitude.co.uk/baseball-player-buys-tickets-to-fill-stadium-on-lgbt-night/ ) about your generous goal of purchasing the tickets to the LGBTQ Pride night from any bigoted season ticket holder who didn’t want to support the A’s for that one game just because “the gay” offends them. I’ve opened up your GoFundMe page in a separate browser tab and plan to donate after I’ve finished this message. One of the comments on that article mentioned Stella’s resume on this blog and I had to read it for myself. I got such a kick out of it that I went to the beginning of your blog and read each entry and fell in love with Stella, you, Sean, your moms, and even the Oakland A’s (I’m not really a baseball fan, but I’m a total fangirl of the Kansas University Jayhawks Men’s Basketball team). Thank you for spreading the love, diversity, equality, and acceptance. I look forward to reading more of your adventures with Sean and Stella and anyone else who comes along for the ride! 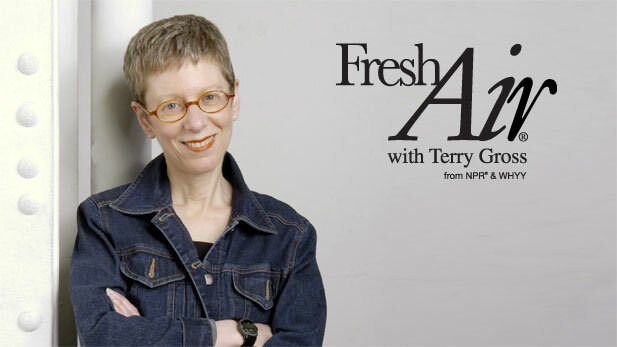 And who knows… maybe Terry Gross will be invited to throw out the first pitch for Pride Night and I can read all about your moms introduction to Terry! You are my new favorite person. I’ve never paid much attention to the A’s (Cubs fan), but I’ll be following and rooting for Sean going forward for having the smarts to be with such a wonderful person (and, I assume, for being awesome on his own). Great, great job, Eireann. 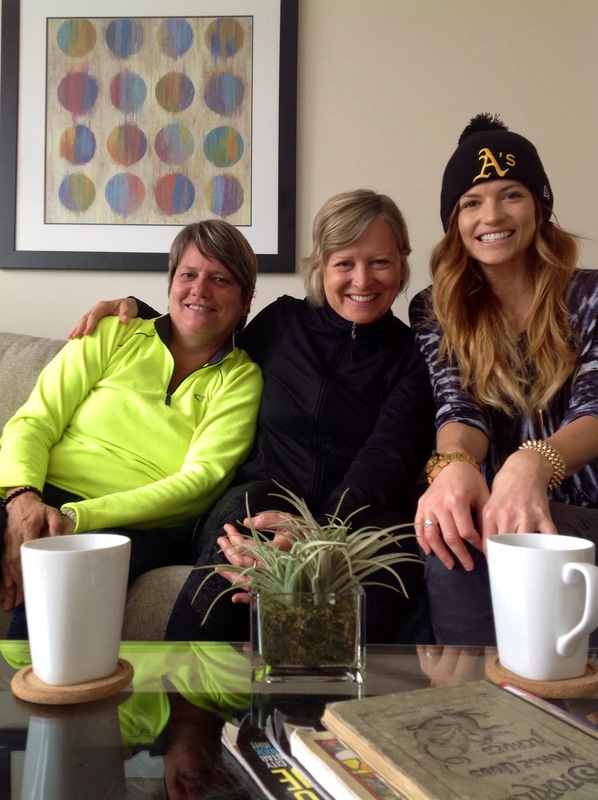 Hi Ms. Dolan: What do you think about an official A’s pride cap? Have the A’s logo over a rainbow? I would like to buy one, but I don’t think it exists. I called the MLB shop, and the salesperson let me know that MLB will gladly make whatever caps they are asked to make pursuant to an agreement, but it has to start with the organization. She suggested I get in touch with the A’s. The business office is closed right now, and I know that you have–how should I say it?–close ties to the organization. If you think this is a good idea, I’d love to see you rally some support around it. I would also be willing to pay a premium for the cap if a portion was donated to a worthy cause. I think a lot of other A’s fans would, too. It seems like a win-win-win situation, don’t you think? I just bought a pair of tickets for myself and my 11 yr. old daughter. She came out to me this year, and I couldn’t be more proud of her. She is a very active and proactive member of her middle school’s Gay Straight Alliance group. She spreads pride and the message of equality everywhere she goes. I was so happy to learn about this fantastic night, and even happier to see what you and your boyfriend are doing to get queer youth to the game. If you need another place to donate tickets, I know that my daughter’s GSA group would love the opportunity to attend. Go A’s! Eireann, you have harnessed two of the most powerful forces in the universe – humor and love – to defeat two other powerful forces, fear and hate. Way to go, girl – you are a wonderful writer and a fine and funny human and we need more of those!! Keep up the good work! Congratulations, Eireann for harnessing the power of humor and love to defeat the power of fear and hate. You’re a wonderful writer and a kind and funny human and we need more of those!! I admire her beyond words! You and Sean and the A’s organization do the American league proud. Just sent an email through the A’s homepage stating as much. Hoping all who think the same will do the same.